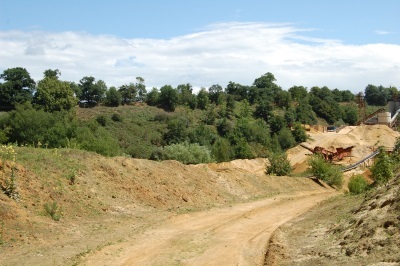 The existing quarry operation is located within the Kent Downs AONB so when Hanson Aggregates started considering a quarry extension to the north of the plant site, potential impacts on landscape resources and visual amenity were an important consideration. DBLC were commissioned to design the working and restoration scheme for the extension and also prepare a Landscape and Visual Impact Assessment (LVIA) which included preparation of a Zone of Theoretical Visibility (ZTV) plan. The ZTV identified a number of key viewpoint locations which were included in the LVIA as photo-sheets with detailed written commentary. 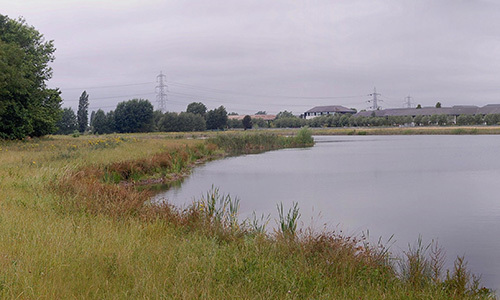 By identifying design constraints along with sensitive landscape and visual receptors in the locality, DBLC were able to include a number of mitigation measures in the design which will help to minimise residual adverse effects of the development and provide a high quality restored site in character with the surroundings. (note: DBLC is currently undertaking further post submission work in response to consultee comments, including preparation of photo-realistic existing/proposed montage views from selected key viewpoints). 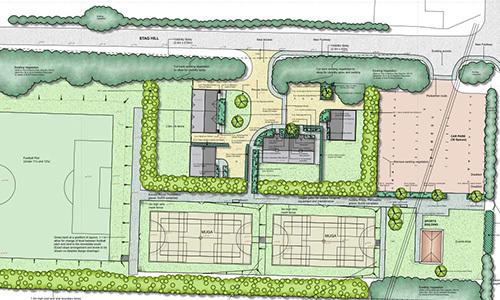 DBLC are acting as a specialist sub-consultant for Royal Haskoning DHV, who is lead planner for this large scale, mixed use scheme set within the Arborfield Garrison Strategic Development Location near Wokingham, Surrey. The rural location combined with a number of sensitive landscape and visual receptors mean that detailed consideration of potential adverse effects is crucial to the planning of the residential sector within the wider Masterplan. Following discussion with the Local Planning Authority (LPA), an EIA standard Landscape and Visual Impact Assessment (LVIA) report was prepared along with a Zone of Theoretical Visibility (ZTV) plan which identified key viewpoints. The landscape setting of the proposed development is of particular concern for the LPA and ongoing liaison is underway between all parties in order to refine the design scheme. DBLC continues to provide advice to RHDHV as required. Working alongside Land and Mineral Management Ltd., a well established specialist mineral and waste planning consultancy, DBLC have been providing landscape design and planning advice at Moons Hill Quarry in the Mendip hills for a number of years. 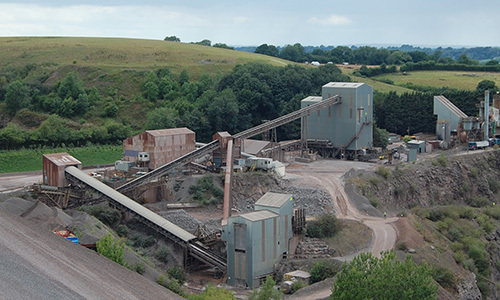 Recent work has involved the consideration of a number of potential new tip locations to provide the quarry with waste storage capacity into the future. As well as undertaking 3D design work for the four potential tip landforms, DBLC prepared Landscape and Visual Appraisal studies for the four potential tip locations, including the preparation of a Zone of Theoretical Visibility (ZTV) plan and indicative 3D visualisations from key local viewpoints. One of the issues to consider has been the visibility of the potential tips and the character of the surrounding Mendip landscape, consisting of undulating higher land and broad valleys, with some large areas of woodland. The work on this project is ongoing and is likely to contribute to the preparation of a new extension application in future. Worsham Waterworks are a collection of formerly derelict buildings on the banks of the River Windrush near Witney in Oxfordshire which were acquired by the client with the intention of undertaking extensive renovation work to create a number of high quality residential units set within a landscaped communal garden. Design work involved drawing up a concept landscape Masterplan for the whole site including treatment of poor quality rough grassland on land across the river, and then preparation of a series of detailed design plans for different parts of the site. 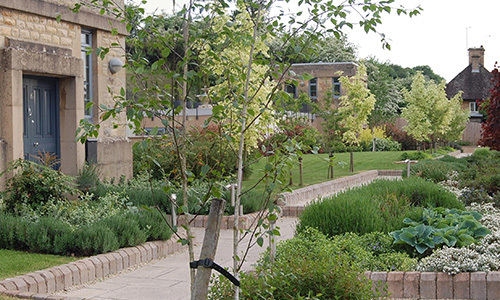 These included hard landscape and paving plans for the car park and circulation areas and planting plans for the communal garden, with various changes of level to consider within the overall scheme. 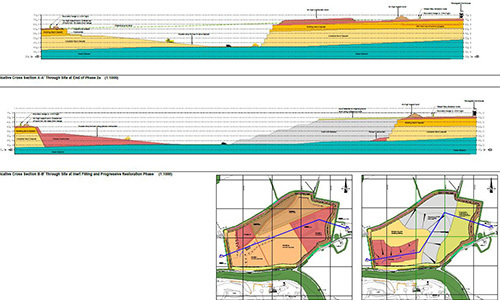 DBLC were responsible for producing the restoration scheme which was supplemented by a detailed restoration techniques report, along with a number of indicative 3D existing/proposed visualisations from key viewpoints surrounding the quarry. In addition, a Landscape and Visual Impact Assessment (LVIA) was prepared which, amongst other things, considered the potential effects on the adjacent National Park area, a nationally designated landscape sensitive to landscape change. The Planning Application was well received by DCC and was approved in 2012. DBLC is currently helping the client consider the landscape and visual implications of progressing extraction into adjacent land which forms part of the PDNP.